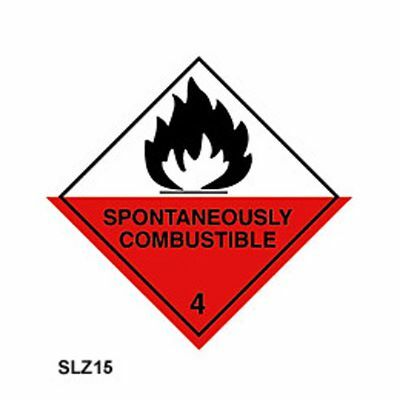 These solids hazard labels are designed to conform to the GHS International System of Classification and Labelling for the transportation of dangerous goods, which divides hazardous substances into classes on the basis of the chemical characteristics producing the risk. 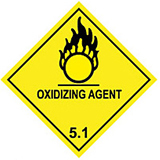 Class 4 represents dangers from solid chemicals. 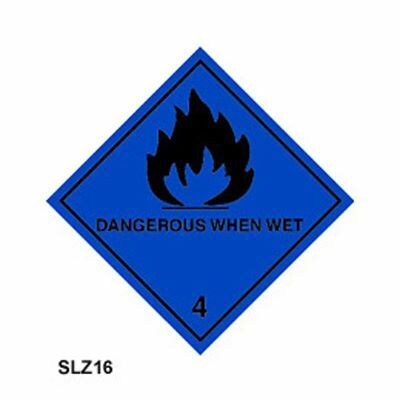 Hazardous substances labels are available for solids that are flammable (SLZ05), spontaneously combustible (SLZ15) and dangerous when wet (SLZ16). 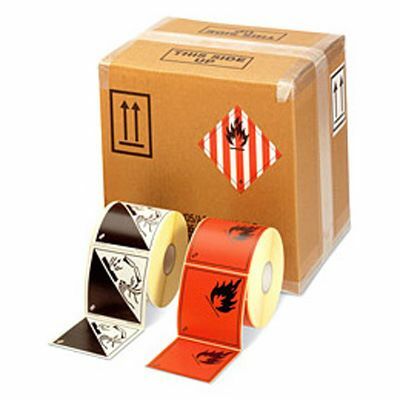 Hazard warning diamonds are 100mm square and made from self-adhesive vinyl with 250 hazard labels per roll. Label Dispensers - Quick and easy to use label dispensers for wall mounting. 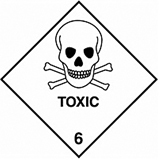 UN Labels - UN numbers and environmental pollutants. 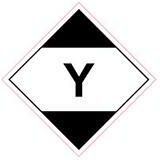 Other Hazard Warning Labels - eg. do not load in passenger aircraft. Class 7 Warning Labels - Radioactive Material.